The Forbes Avenue Betterment Project improvements extends through 18 intersections from Forbes Avenue/Brady Street near the Birmingham Bridge to Margaret Morrison Street. The overall scope of the project includes traffic signal infrastructure (upgrades and replacements) and ADA curb ramp improvements, pedestrian and bicycle improvements, as well as milling and paving. 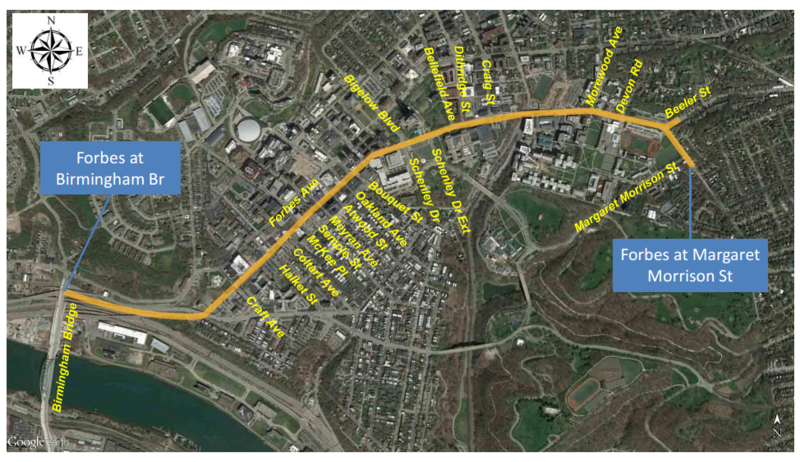 Click HERE for details on the Forbes Avenue Betterment Project. *Note the site will be updated periodically to include the above mentioned items.